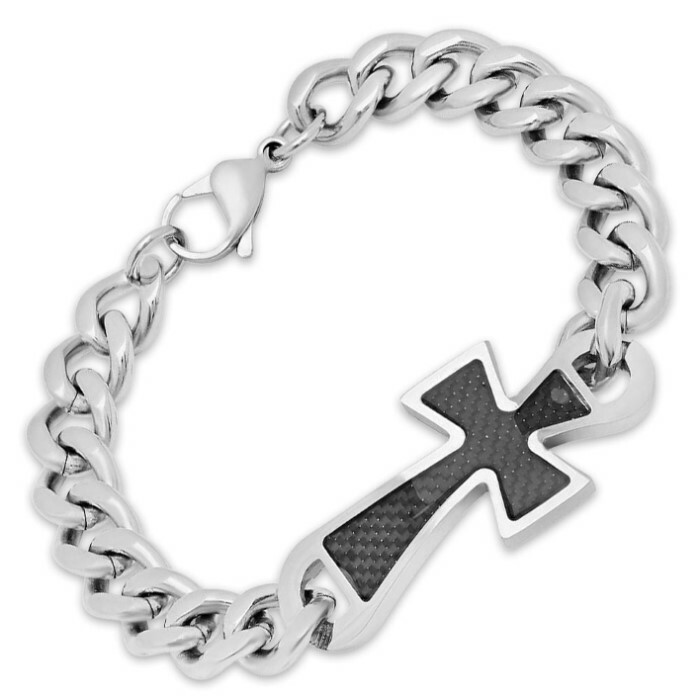 Stainless Steel Link Bracelet With Black Cross | BUDK.com - Knives & Swords At The Lowest Prices! Stainless steel has become one of the most sought after materials in men's jewelry as of late, and it's no wonder why. This men's curb link bracelet is crafted of solid Grade 316L surgical stainless steel and contains a black carbon fiber cross for extra style. The bracelet is 8 1/2” length and completed with a fancy lobster claw clasp for extra security.